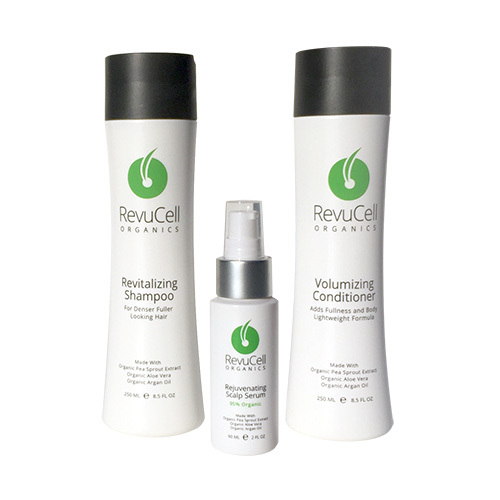 A 12 Pack of RevuCell Organics’ natural hair growth therapy system. Made with organic and natural ingredients to help diminishes the appearance of hair loss while promoting healthy hair growth. Contains: 12 Revitalizing Shampoos, 12 Volumizing Conditioners, and 12 Rejuvenating Scalp Serums.